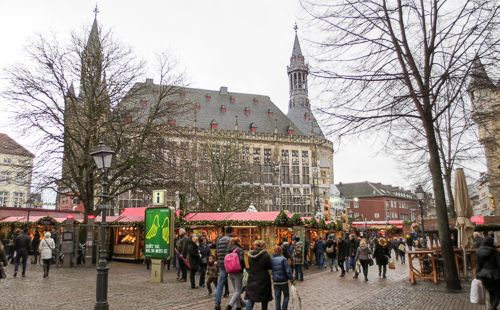 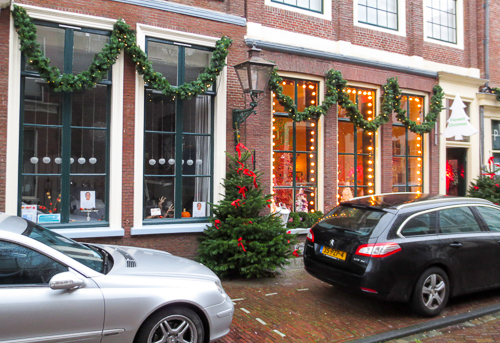 First, let’s wrap up the Netherlands with a Christmas-specific store in Leiden. We saw just a little of Leiden and it’s now on my list of places to see again. 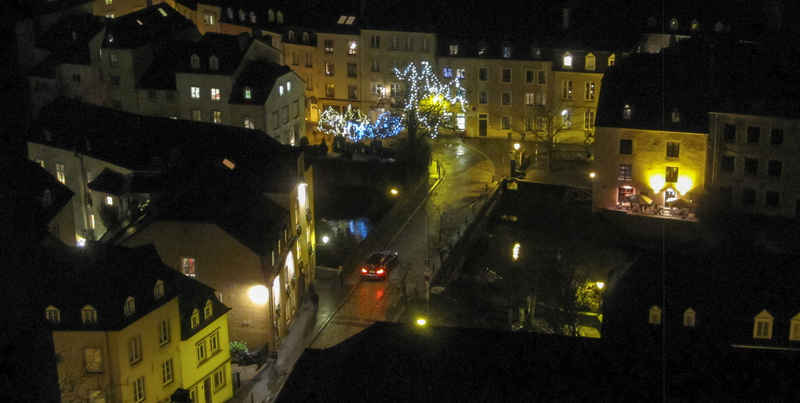 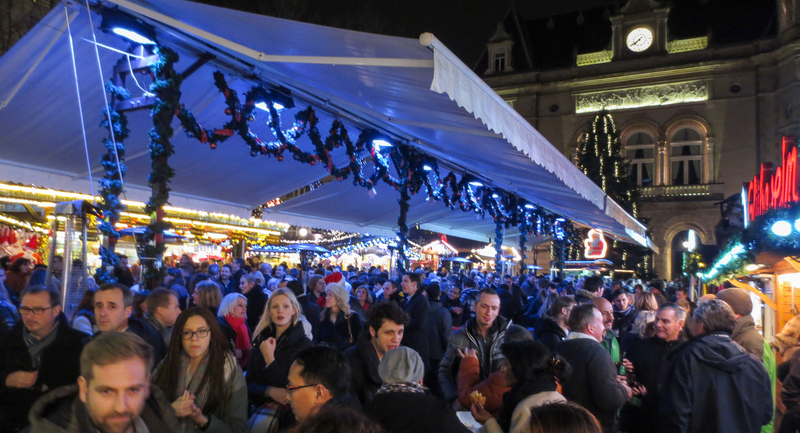 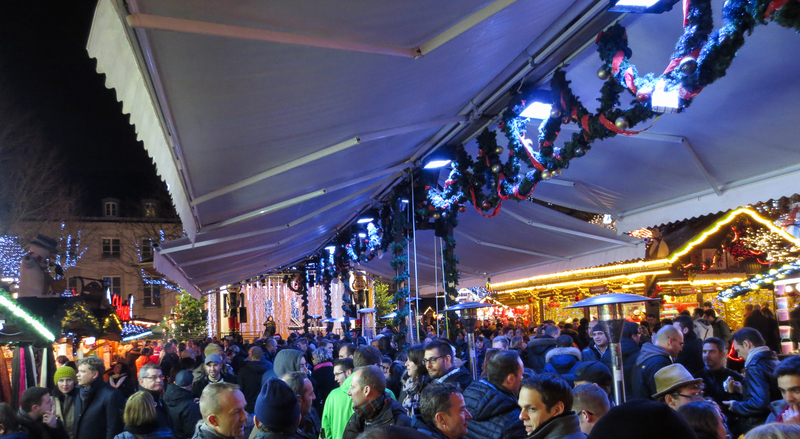 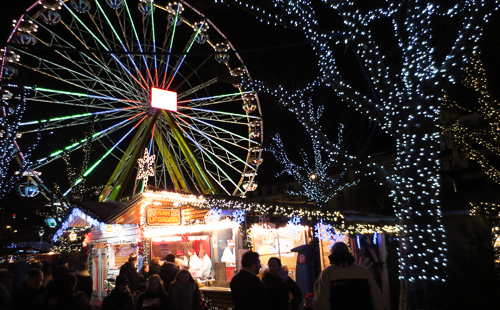 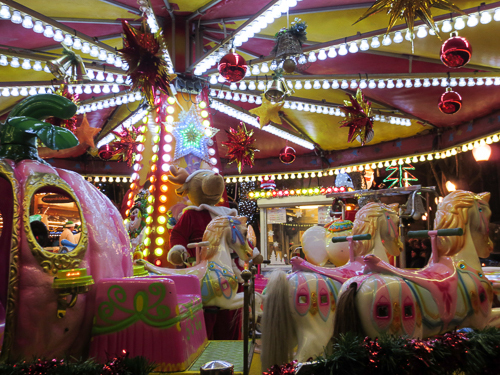 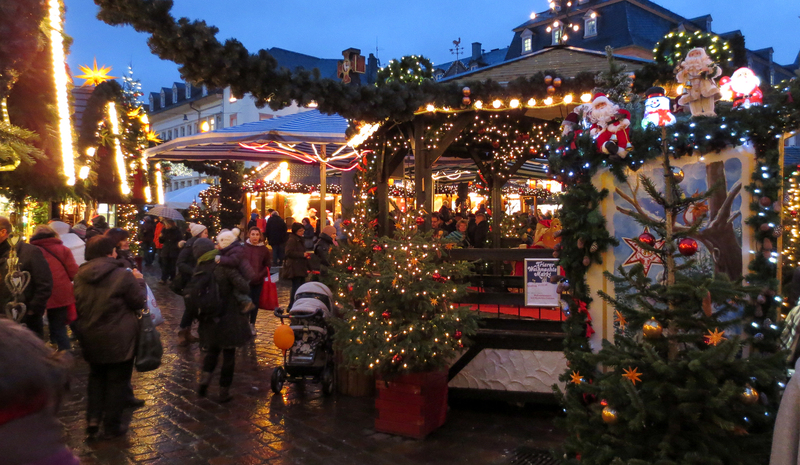 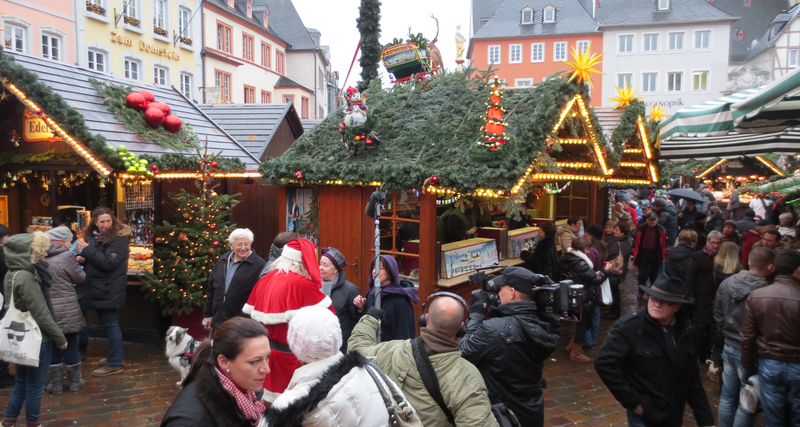 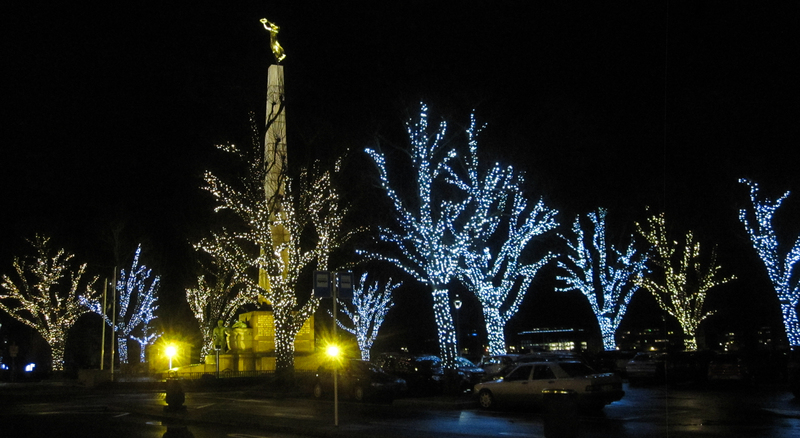 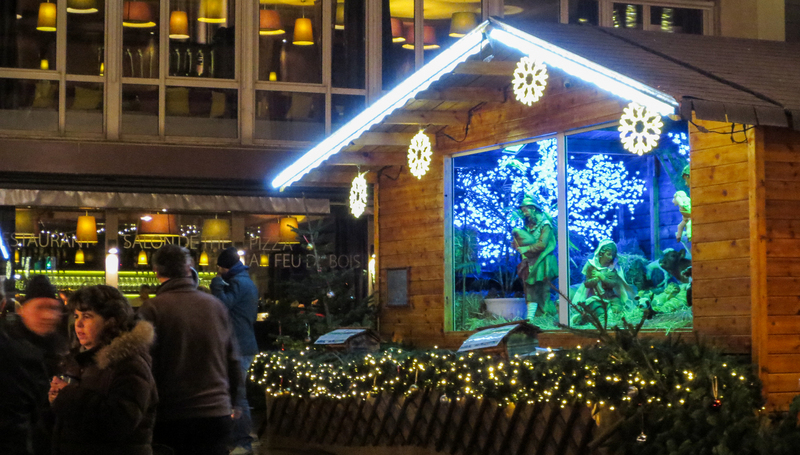 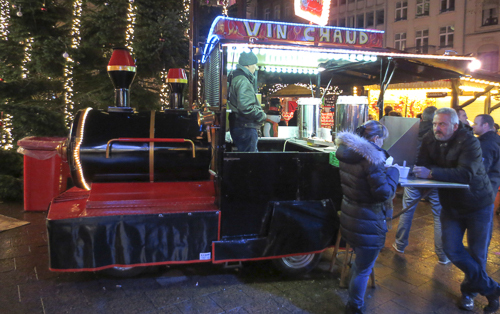 Back in Luxembourg, we enjoyed having a Christmas Market practically on the doorstep of Anita’s workplace. 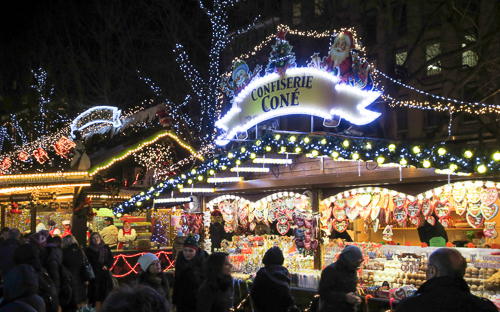 Who can pass up sugary treats and hot wine? Most larger Christmas markets sprawl across multiple squares. 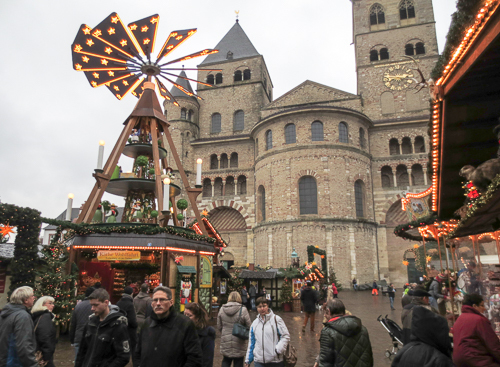 If you’re surprised by how small a city’s market is, particularly in Germany, ask a local — you might find that the best part isn’t even in the city center! Trier is especially good for small shops selling genuinely high-quality crafts, like this brush shop. 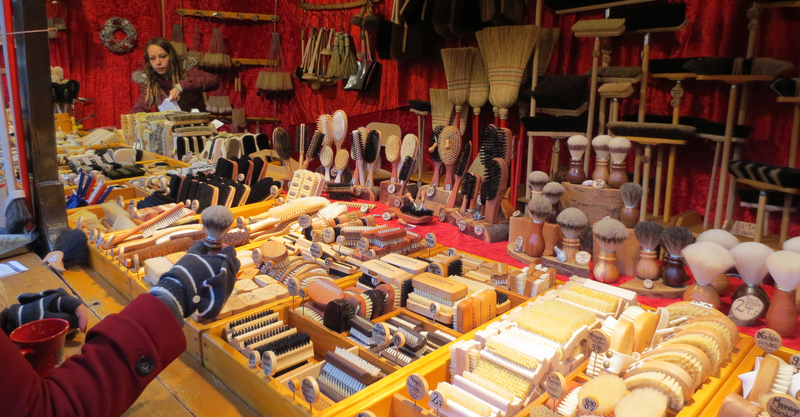 This year, we learned that the best hair for a shaving brush comes from the neck of the badger. 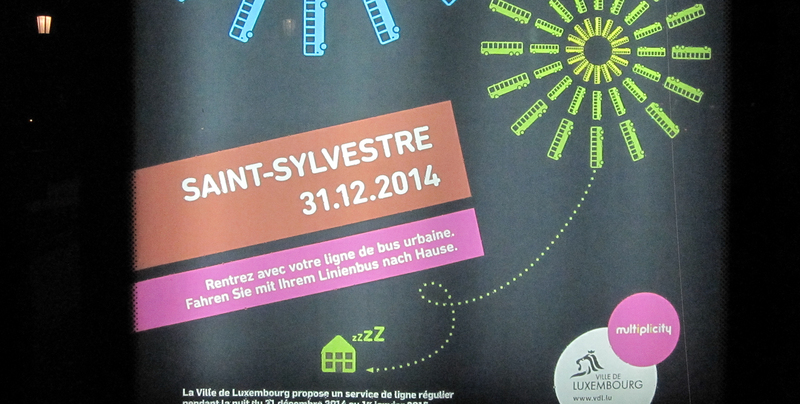 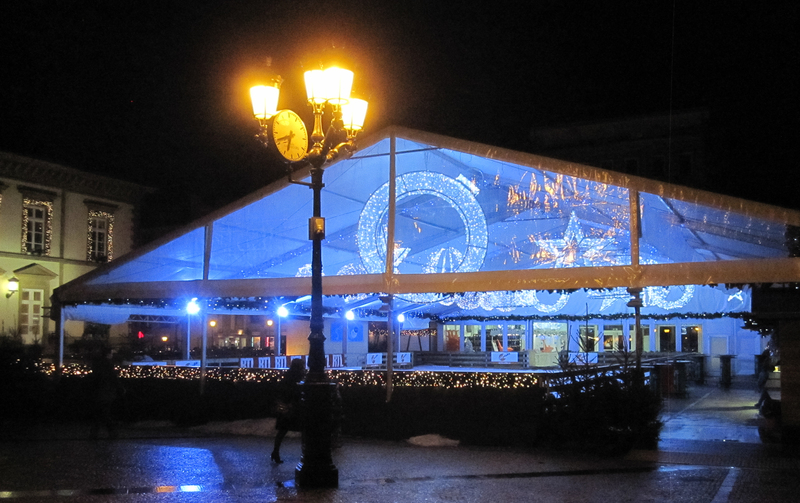 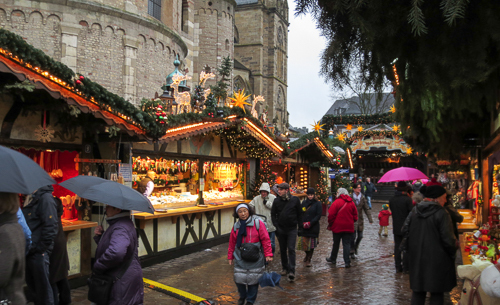 Back again to Luxembourg’s Christmas Market, where the central space is sheltered from the ever-present rain. 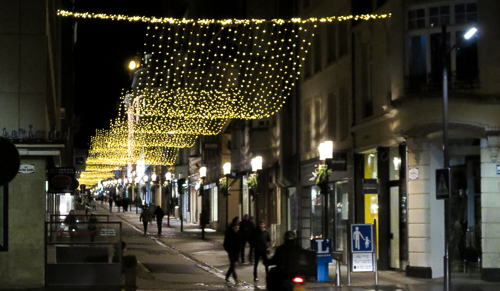 The shops in Luxembourg serve different desires than those in Trier, with less emphasis on craftsmanship. 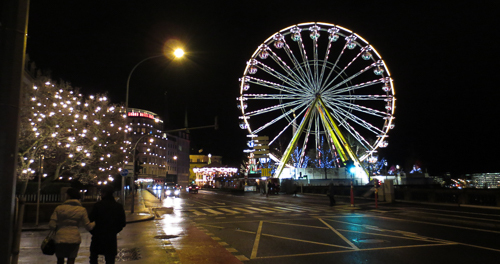 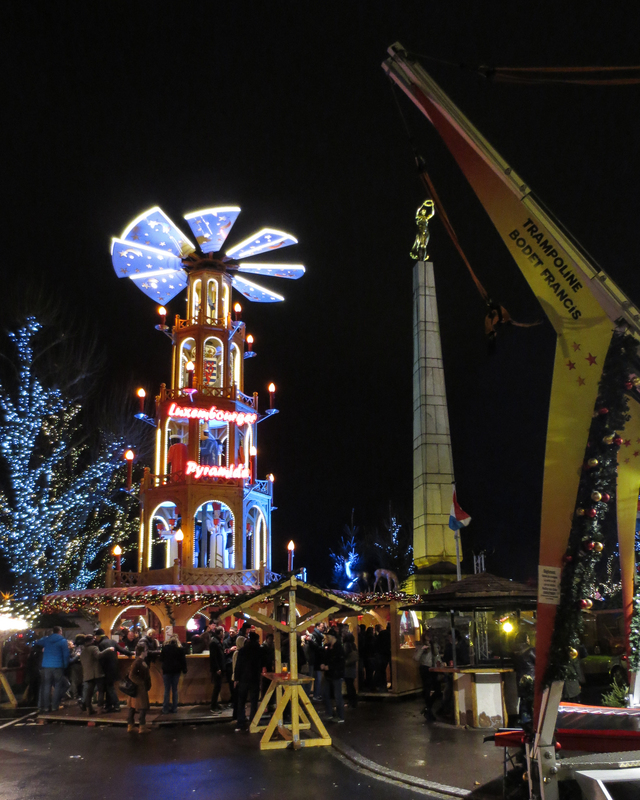 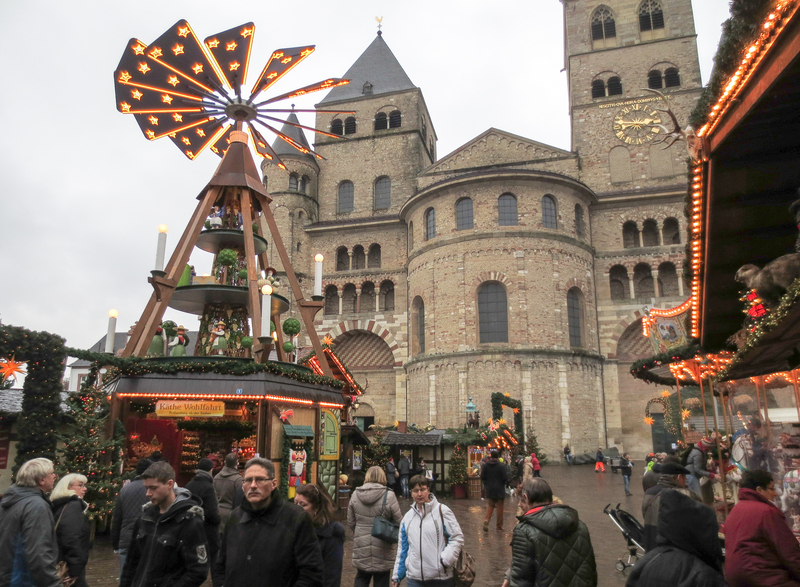 Anita joined friends on a day-trip to Aachen’s Christmas Market, reputed to be one of the better ones in the region. 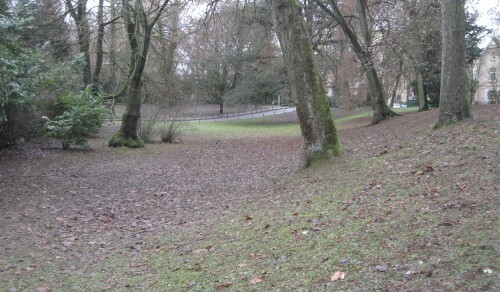 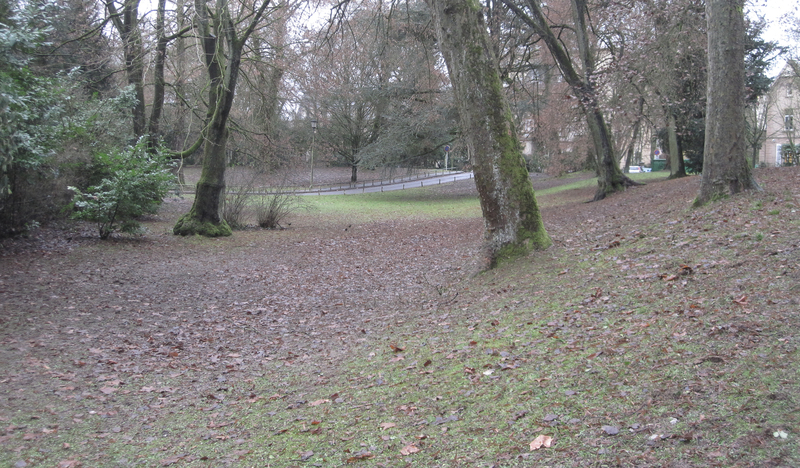 Aachen is near the point where Belgium, Germany, and the Netherlands meet. The Aachen Cathedral is the oldest in northern Europe, established by Charlemagne and the site of 42 monarchical coronations. 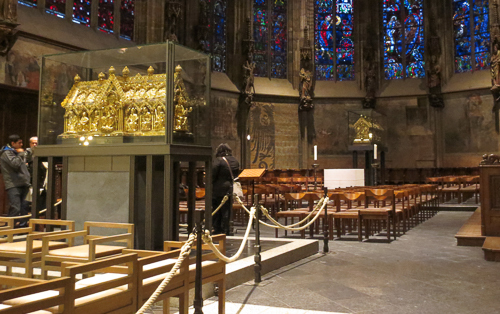 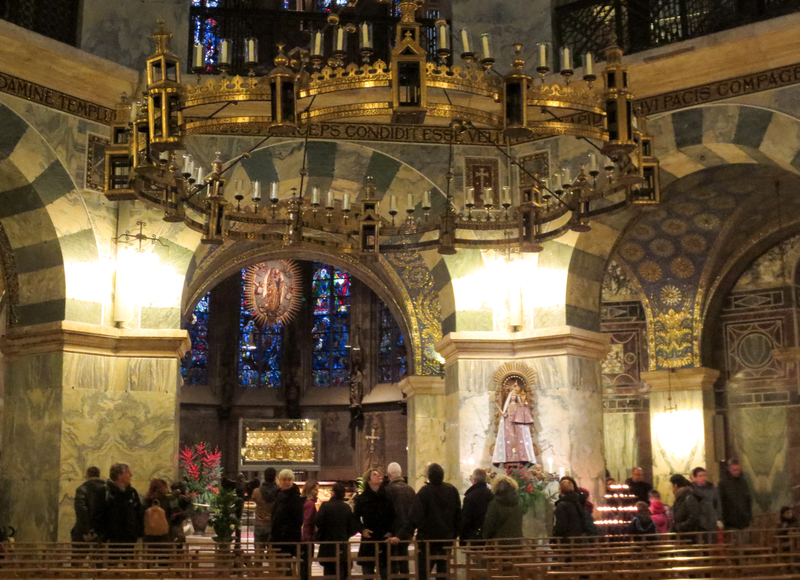 It contains two magnificent shrines: one containing the bones of Charlemagne and the other a variety of relics (including Jesus’s diaper). 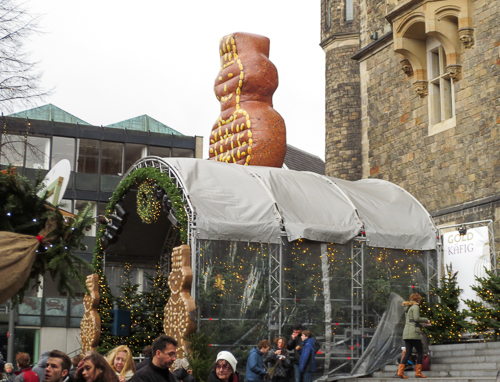 Anita said that the two-story-tall, inflatable gingerbread-man was nearly as impressive as the Cathedral itself. 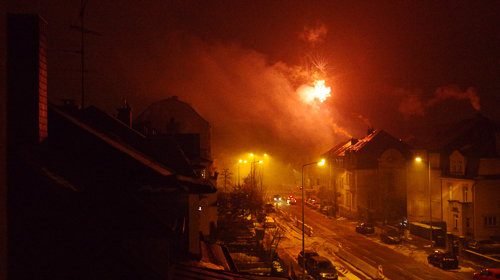 I wish I could have seen it for myself. 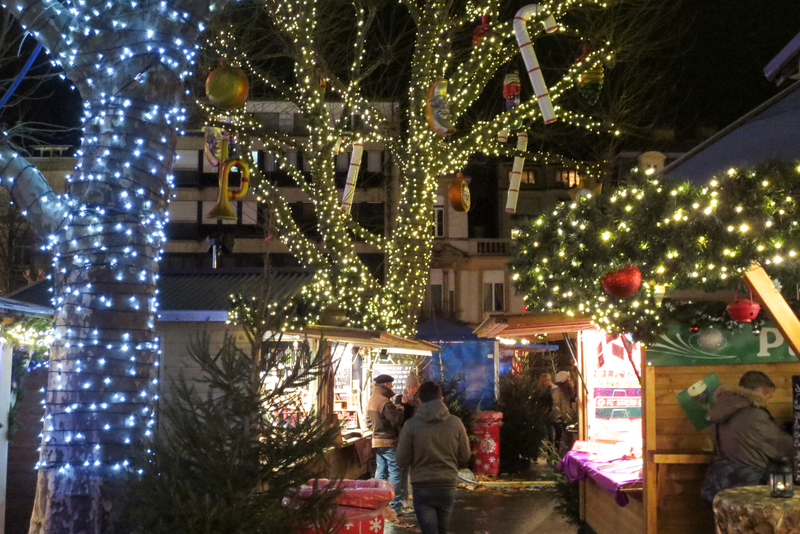 The Christmas Market in Luxembourg left town on Christmas Eve, leaving a quiet period before New Year’s Eve, or as we say in Europe, Saint Sylvester’s. 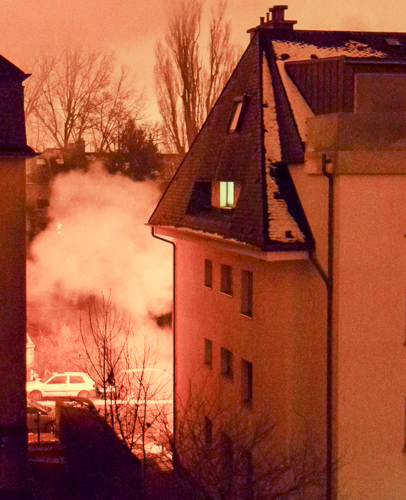 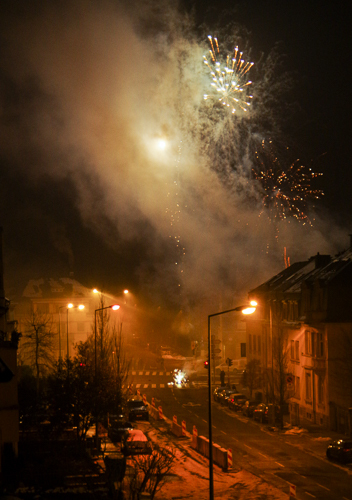 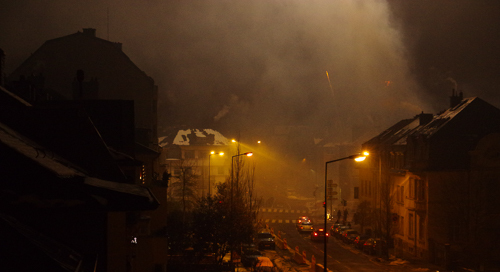 We didn’t attend any formal fireworks, but our neighbors provided quite a show, lighting some impressive rockets and roman candles in the middle of the streets. The lights seem to help just a little bit with the gloom of January.